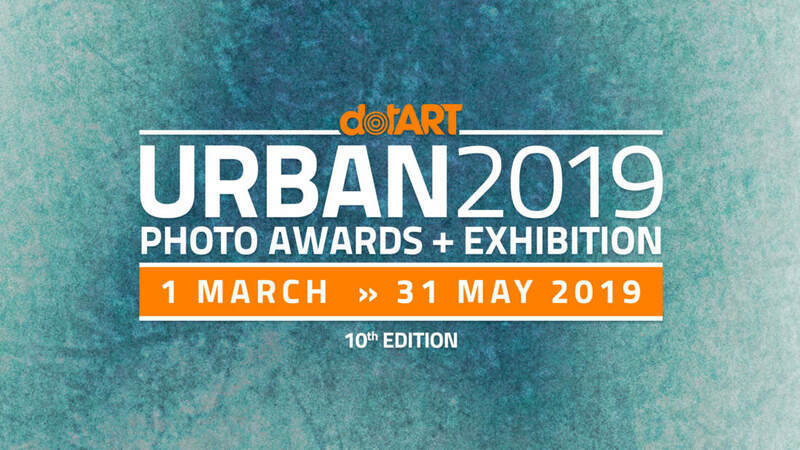 Italian cultural association dotART promotes the 10th edition of URBAN Photo Awards contest. The many aspects of the urban fabric and the lives that inhabit it. The human body, posing or caught fleetingly on the road. Urban spaces, buildings, streets, shapes and geometries, industrial archaeology. Artistic, experimental, visionary photos outside previous thematic areas. Each participant can submit as many photos as he wants, with no number limits per thematic area. For each photo, the participant have to assign one of the four thematic areas and categories, to better categorize his work. The author can compete with the same photo in several thematic areas (for the registration fees see Article 3). Section in which you can propose a set of photos with Urban Photography subject: thematic portfolios, photojournalism and storyboards (sequences of images that tell a story). The photographer is free to choose the topic, style, setting and subjects they prefer. Along with the photos, will have to write a brief description of its project (in English – you can use Google Translate). Portfolios must be made of a minimum of 3 and a maximum of 12 photos. Participants can run in both sections. Photo editing and post-production are allowed. Each participant can submit as many projects as he wants. We accept photos in colour or in black and white. Post production is allowed. Software corrections are to be kept to a minimum. Hard post production and photo editing are accepted only where explicitly indicated. Pictures with visible signatures from the photographer will not be accepted. We do not accept images or works with offensive content; decisions regarding content will be made by the jury and are to be considered final. .jpg format (attention to file extension: NO to “.jpeg” extensions and not even TIFF, RAW, etc.). Files must be less than 10 MB each. Minimum size on the smaller side: 2000 px / maximum size on the longest side: 6000 px. In the Portfolio section, to be sure that the order of the photos is correct, add the numbers in the desired sequence to the file name (eg “filename01.jpg”, “filename02.jpg”, “filename03.jpg” …). The competition runs from March 1st, 2019, until midnight of May 31st, 2019 (CET). To apply for photos and projects just register in the User Area, follow the procedure on the form and pay the submission fee. In the User Area you can upload, check, add or delete your photos and/or Projects & Portfolios, modify the titles and descriptions and manage the payment. The presented works will be selected by dotART and judged anonymously in a final manner by a prestigious Jury. Jury President Martin Parr will personally choose and award URBAN 2019 Winner. The Jury and dotART reserve the right to award prizes to multiple works by the same author and change category to high ranked pictures. Selected Photographers will be published on the website in alphabetical order (without ranking). They will have the opportunity to participate in exhibitions / summer previews. Semi-finalists Photographers will be published on the website in alphabetical order (without ranking). Around 100 photos + 50 Projects. Finalist Photographers will be published on the website in alphabetical order (without ranking). Around 40 photos + 20 Projects. Awarded Photographers will be published on the website in alphabetical order (without ranking): 12 photos + 3 Projects & Portfolios. Award ceremony and official announcement of URBAN 2019 Winner Overall, First Ranked and Honorable Mentions chosen and awarded by Jury President Martin Parr at Trieste Photo Days 2019. Final ranking will be published on URBAN website and Facebook page. Our technical partner Stroppa will offer 50 straps, one for each Finalist Photographer (€ 33 value each). The highest placing works with be published on the competition’s website and will be displayed in a collective exhibit on October/November 2019, in Trieste during Trieste Photo Days 2019 festival. The printing of the photos will be the responsibility of dotART. Some of the entered photos may in addition be selected for exhibits in Italy and abroad. A large selection of the ranked pictures will be published on the gallery page of this website. The highest placing works will be admitted to the selection to realize the fifth edition of Urban unveils the City and its secrets. The photo book, edited in September, will be presented during Trieste Photo Days festival the last weekend of October, and distributed by Urban/dotART cultural association. The best ranked pictures (usually, 30% of the Selected photos – see Art. 5) could be chosen for “travelling” exhibitions around the world. PayPal to paypal@dotart.it or www.paypal.me/dotart. Who participates in both SECTION #1 » THEMES PHOTOS and SECTION #2 » PROJECTS & PORTFOLIOS and wish to pay the subscription fee with PayPal will have to make two separate payments. If you wish to pay by bank transfer you can make a single payment specifying “Contribution to Urban Photo Contest 2019 section1 and section2 + Name + Email”. The participant, in regard to all of his/her ranked works, grants to dotART a complete, non-exclusive, irrevocable license to use. The association dotART reserves the right to use them within the scope of its own non-profit associational activities after sending an official communication to the author. The Author, whose name will always be attributed to the work, maintains in any case his/her moral rights in regard to the work, in addition to the intellectual property rights to the same. By entering the competition, the Author accepts the present rules and declares that he/she is the owner of the intellectual property rights and of the rights of use of the submitted image and of any necessary release notes. Documentation of rights ownership must be presented to dotART upon request. If for any reason the Competition cannot be run as planned, due to infection by computer virus, bugs, worms, trojan horses, denial of service attacks, tampering, unauthorized intervention, fraud, technical failures, or any other cause that corrupts or affects the administration, security, fairness, integrity or proper conduct of this Competition, dotART reserves the right, at its sole discretion, to disqualify any individual(s) seen to have tampered with the entry process and/or to cancel, terminate, modify or suspend the Competition. If dotART elects to cancel or terminate the Competition, it will not retain any rights to the submitted photographs and it will return all entry fees. dotART is not responsible for the cancellation or modification of the prizes offered by the partners.